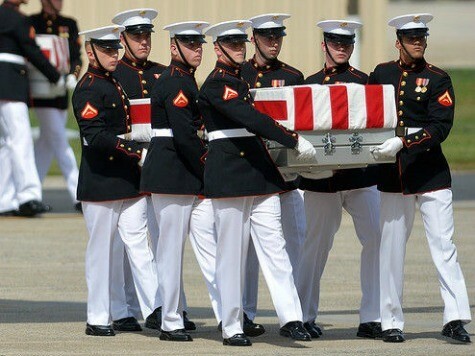 It has been a year since the attack which killed four Americans in Benghazi. During that time various minute-by-minute accounts of the attack have been published. In addition, the administration’s decisions to refuse additional security requests and to revise its talking points after the attack have been examined in detail. But Benghazi may be a case where most observers have missed the forest for the trees. This is not an attempt to add new information so much as it is to collate the information that already exists from the most reputable journalistic sources. To begin with, Benghazi was a CIA operation involving weapons, one which had no cover beyond a small mission that provided a diplomatic fig leaf for the effort. Officially the CIA was there to track and collect dangerous weapons left over from the war that ousted Qaddafi. But the evidence suggests the CIA was also either tacitly or actively involved in a multi-national effort to ship those weapons to Syrian rebels. Our covert effort in Benghazi, Libya was connected to our escalating involvement in Syria. The general outlines of this CIA effort have been reported. One fact which has not been highlighted is that the UN arms embargo of Libya, which the United States helped pass in 2011, makes shipping weapons in or out of the country a violation of international law. Indeed, the way the UN resolution is written even knowingly allowing such shipments to take place may be a violation of the agreement. In 2012 the Obama administration publicly claimed it was working on diplomatic and humanitarian responses to the situation in Syria. But behind the scenes the United States was aware that a network of arms shipments was being created to support the rebels. This network involved shipping weapons from Qatar and later Libya to Turkey where they could be taken across the border and distributed to militias in Syria. In June of 2012 the NY Times reported that a contingent of CIA agents were “operating secretly” in Turkey to help vet which groups would receive these weapons. But later reporting by the Times would indicate the CIA was doing more than vetting. From offices at secret locations, American intelligence officers havehelped the Arab governments shop for weapons, including a largeprocurement from Croatia, and have vetted rebel commanders and groups todetermine who should receive the weapons as they arrive, according toAmerican officials speaking on the condition of anonymity. So the CIA was acting as a kind of personal shopping assistant. But according to an unnamed former official the network itself was the result of prodding by CIA director David Petraeus who encouraged various nations to work together toward the goal of arming the Syrian rebels. The flow of arms increased substantially throughout 2012 and really took off in the fall. But all of the shipments were still being transported and paid for by other nations. To sum up, the CIA encouraged the creation of a multi-national arms pipeline, helped shop for weapons to fill it, vetted the groups who would receive those weapons in Syria and, since June of 2013, contributed U.S. weapons to the mix. With that backdrop in place we can now return our attention to Libya. During the U.S. involvement in overthrowing Libyan dictator Muammar el-Qaddafi during 2011, the Obama administration became aware that shipments of weapons were making their way to Qaddafi’s troops, allowing them to resupply themselves and pose a greater threat to civilians. So in February the US and other allied nations including the UK and France pushed for a package of international sanctions which became UN Security Council resolution 1970. Resolution 1970 condemned the bombing of civilians, imposed travel restrictions on Qaddafi and his inner circle, froze assets and, importantly, banned any transfer of arms to or from Libya. In addition, Res. 1970 requires member states, upon discovery of such arms, to destroy them. A second resolution, number 1973, was passed a month later in March 2011. Resolution 1973 created a no-fly zone and reaffirmed that Member States were expected to help enforce the embargo by inspecting any sea or air vessels believed to be shipping weapons to or from Libya. If discovered, such weapons were to be destroyed. For its part, Qatar supplied weapons made outside the United States,including French- and Russian-designed arms, according to peoplefamiliar with the shipments. But the American support for the arms shipments from Qatar and theemirates could not be completely hidden. NATO air and sea forces aroundLibya had to be alerted not to interdict the cargo planes and freighterstransporting the arms into Libya from Qatar and the emirates, Americanofficials said. This pattern of winking at violations of the UN arms embargo ofLibya was repeated after Qaddafi’s ouster. With the war in Libya at an end and the one in Syria ramping up, the direction of the arms pipeline simplyreversed itself. Whereas weapons had been coming into Libya from Qatar, theynow headed out of Libya back to Qatar and from there on to either Mali or to Syria by way of Turkey. To sum up, the U.S. approved and cleared a path for a pipeline of weapons into Libya during the revolution in 2011. That pipeline would eventually reverse course to provide the same spare weapons to rebels in Syria. Both efforts seem to violate the UN resolutions (1970 and 1973) which the U.S. helped pass in early 2011. But in late 2011 the Unites States realized its revolution-on-the-cheap in Libya had a worrisome downside. Thousands of dangerous anti-aircraft weapons were loose in Libya, attracting militants who might wish to use them to commit terrorist acts against civilian air traffic. Something had to be done. After the fall of Qaddafi, the Obama administration gradually became concerned about the thousands (the figure 20,000 was often used) of Russian-made surface-to-air missiles loose in the country. In October 2011, ABC News’ Brian Ross reported on the “nightmare” these missiles could represent in they were to fall into the wrong hands. Doherty said that he traveled throughout Libya chasing reports of theweapons and once they were found, his team would destroy them on thespot by bashing them with hammers or repeatedly running them over withtheir vehicles. When ABC News spoke to Doherty in late August, he wasenjoying a short time off in California before heading back to Libyajust days ago. Of course we now know that Doherty was working for the CIA. Was he tracking down and destroying lost missiles? The answer is almost certainly yes. The danger these missiles represent to civilian air traffic is real. The United States does have resources devoted to destroying such weapons wherever they can be found. And yet some of these missiles eventually made their way from Libya to Syria. In August 2012, NBC reported a possible game-changer in the Syrian revolution. A small cache of Russian surface-to-air missiles had made their way to rebels. NBC’s report identifies the weapons as precisely the type of Russian-made missiles which had gone missing in Libya. The fact that, according to NBC, they turned up in Turkey suggests they might have been part of the Libya-to-Qatar-to-Turkey arms pipeline which the CIA had been involved with since January 2012. A month later, just three days after the 9/11 attack in Benghazi, the Times of London reported that a Libyan ship carrying 400 tons of weapons including “SAM-7 surface-to-air anti-aircraft missiles” docked in Turkey. This was the largest known shipment of weapons to Syria at the time. The ship’s captain, Omar Mousaeeb, was from Benghazi. As CNN reported in August, there were 21 people, presumably CIA, at the Annex in Benghazi the night of the attack. It is possible that they missed the surface-to-air missiles being delivered to Syrian rebels. And it is possible that when the shipment arrived in Turkey the CIA agents working there again missed them (as they had the smaller shipment a month earlier). An alternative explanation is that the CIA was, as the Times has reported, shopping for weapons to fill the pipeline. With the Russians continuing to sell attack helicopters to the Assad regime, surface-to-air missiles would represent a much needed game-changer on the ground. When asked by CNN the State Department maintained its personnel were there to help the new Libyan government destroy dangerous weapons. However State pointedly refused to speak for “other agencies.” In other words, take it up with the CIA. But the CIA did not respond to inquiries. Rep. Frank Wolf claimedthat sources had told him Benghazi survivors were being pressured tosign additional non-disclosure agreements to enforce their silence. Rep.Trey Gowdy told Greta van Susteren that the some survivorswere being given aliases to prevent the media from contacting them. Whyclamp down so hard on something the administration has dubbed a phonyscandal? While many Americans are just learning about the President’s desire for a military strike against Syria the CIA has been involved in covert arms shipments there since early 2012 (first in an advisory capacity and more recently as a direct provider of arms). To the degree any of these arms have come from Libya, as we know for certain some have, our participation in these shipments tacit or otherwise could constitute a violation of the UN embargo. None of this indicates the 9/11 attack in Benghazi a year ago was connected to what the CIA was doing there. However it may help explain why the US stayed in the city when so many other nations decided to flee the escalating threat of terrorism. Had we been there as diplomats perhaps we would have left as well. But if the real goal was to clean up a mess we helped create and also to monitor and stock a pipeline of arms heading to Syrian rebels, Benghazi was the place to be.